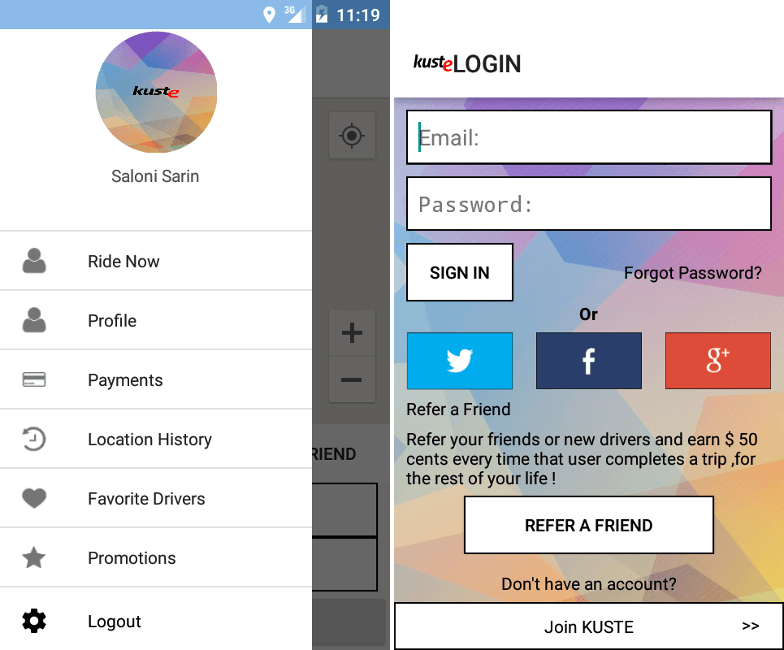 Kuste is a taxi application. This application saves our time to go on road and wait for taxis for travel. Kuste is very useful and worth application to save our cost and time. It avoids us from suffering and get book taxi from home with minimum fare and time. In Kuste taxi application there are two application one is driver and another is passenger.